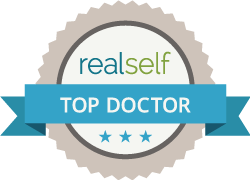 Dr. Khan is pleased to offer the finest in acne scar reduction. He has invented the BellaScar acne scar treatment by utilizing a very special technique using Bellafill dermal filler. He wonderful aspect of the BellaScar treatment is the collagen-enhancing microspheres and the crosshatching technique he uses. This allows for a very natural correction to the depth of the scar and the collagen matrix enhancement improves the texture and tone of the skin. Natural and beautiful results with the BellaScar treatment!